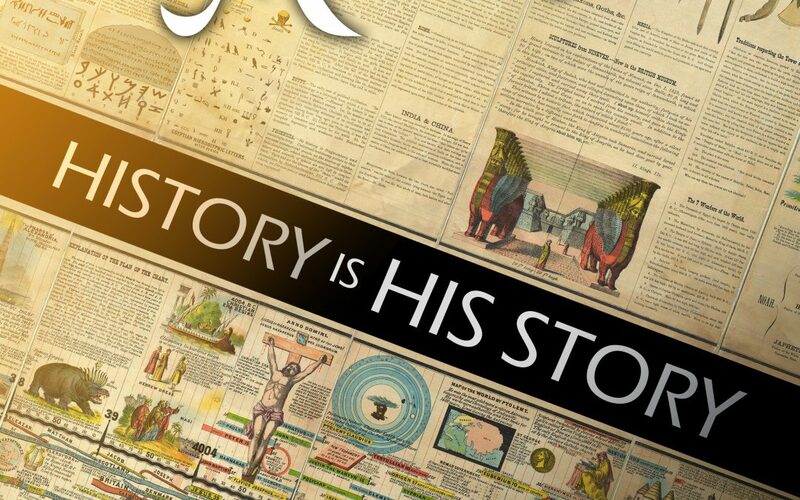 As we consider History as His (God’s) Story, the Scriptures lay out a “broad” view of the world and where everything is going, and a “narrow” view in how God is going to accomplish His purpose and plan for the world – after all, History IS His Story. Most of us are familiar with the creation of Adam and Eve. The story is unfolded for us in the first chapter of Genesis with details in chapter 2. Into the pristine environment of a large “garden” – this “garden” having 4 rivers running through it, Genesis 2:10-14 – Adam and Eve lived with three realities that God gave them. “And God blessed them, and God said unto them, Be fruitful, and multiply, and replenish the earth, and subdue it: and have dominion over the fish of the sea, and over the fowl of the air, and over every living thing that moveth upon the earth.” God gave the care and rule of earth and its inhabitants to man. The third reality was that Adam and Eve were given the blessing of living in a perfect environment. After the creation of everything God stated, “And God saw every thing that he had made, and, behold, it was very good. And the evening and the morning were the sixth day.” There was no sin in their environment. They were perfect, as were the animals. No disease, death, or any of the ravages brought about because of sin. Food was easy to grow and plentiful. We can only imagine the quality and taste of the fruit grown in Eden. Theocracy, God ruling over all of man, as small as all of humanity was initially, now evaporated. Satan became the god of this world. Ultimately, when nations came into existence Satan would become the ruler of these kingdoms, Luke 4:5-8. “But, as one can see, our observed lack of dominion over the animal kind is confirming to the biblical narrative. The Bible gives us a history of the relationship between man and animal. In the beginning, man had dominion and harmony with the animal kind and all of nature. Neither man nor animal viewed the other as predator or prey and Adam was given the mantle of being ruler over the Creation. Then, the biblical history explains how that changed due to Adam’s sin. Ultimately, God, Himself, significantly changed the relationship between man and all of creation. Presently, “dominion” in this world now belongs to Satan. Sinful man follows the “prince of the power of the air,” Ephesians 2:1-3, and is under his dominion. The third reality of a perfect, pristine living environment was demolished with the sin of our original parents. Hurricanes, tornadoes, drought, pollution, disease, and many other “acts of nature” demonstrate that we live in anything but a perfect environment. So, where is history heading? What is God doing through history? It should be obvious. History is leading us to the restoration of the three realities that were lost because of Adam and Eve’s sin. First, there will be a return to a theocracy over the entire earth. At the end of the seven-year Tribulation period Jesus returns to earth destroying His enemies, Revelation 19, and sets up His kingdom in Jerusalem, Isaiah 2:2-5. Zechariah 14:9 tells us that at that time, “And the LORD shall be king over all the earth: in that day shall there be one LORD, and his name one.” One day God will rule over the entire earth again. Since the loss of theocracy in Eden, God has been redeeming people for His kingdom. Second, the lost dominion of man, with man and his world under the rule of Satan, will be reversed. With the blowing of the seventh Trumpet judgment by the angel, Revelation 11:15, we are told “…The kingdoms of this world are become the kingdoms of our Lord, and of his Christ; and he shall reign for ever and ever.” This final Trumpet judgment opens the final devastating Bowl judgments recorded in Revelation 16. These final judgments culminate in the return of Jesus to earth to set up His kingdom. Let me pose a question. If the “kingdoms of this world are become the kingdoms of our Lord, and of his Christ” with the sounding of the seventh Trumpet, who did these kingdoms belong to previously? The answer, clearly, is Satan. That is why he could say to Jesus about the kingdoms of the world, Luke 4:6, “All this power will I give thee, and the glory of them: for that is delivered unto me; and to whomsoever I will I give it.” Satan presently has dominion over the kingdoms of this world and sinful humanity. This will end when Jesus returns. The prophets spoke of the time when the “restitution of all things” will occur. When Jesus sits on the throne in Jerusalem there will be a “regeneration” of all things. Both the prophets and Jesus are referring to when the earth will be restored back to its Edenic state. This is during the kingdom reign of Jesus for 1,000 years, Revelation 20:1-6. Passages such as Isaiah 11 and 65:15-25, and Micah 2 are a few of the many scriptures that give us information on the coming kingdom and the reverse of the curse of Genesis 3. This is the “broad” view of history, when it began and where it is heading. All the events of history, some events having a greater impact than others, are moving us towards God’s restoration of the 3 lost realities that belonged to man in the beginning. God also provides us a “narrow” view of history. The “narrow” view enables us to have a sharper view of what God is doing in the affairs of men throughout history. The “narrow” view centers in one people group and nation. The people are the Jewish people and the nation is Israel. Starting from Genesis 12 to the end of Revelation 22, about 80—85% of Scripture is God’s dealing with Israel and the Jewish people. Consider just a few of the comments God says about Israel and the Jewish people starting with blessing those who bless them (Israel and Jewish people). God called Abram to leave the area of modern day Iraq, Genesis 11, and go to “a land that I will shew thee.” This command, and ultimately promise, became one of the three foundational promises of God recorded in Genesis 12:1-3. In these three verses, we have the establishment of the unconditional promises of the Abrahamic Covenant. There are three basic promises in these first verses of Genesis 12. Verse one is the promise that there will be a special land area set aside for Abraham’s descendants (the Jewish people). That land is the land of Israel. When the LORD speaks of “the holy land” in Zechariah 2:12, He is speaking of the land of Israel. “Holy” is a word that means set apart or unique and has an intrinsically spiritual (religious) connotation. “Holy” is never to be used with a secular item or concept. The land of Israel is unique, and, it shouldn’t be separated from the second promise of the Abrahamic Covenant – the people of the Land. The second promise is that of verse two where God promises, “I will make of thee a great nation.” The nation is Israel. The people of that nation are the Jewish people. As the Scripture unfolds, we see the promise of a great nation continued through Isaac, Jacob and the 12 sons (tribes) that came from the loins of Jacob. Ultimately, we see the promised Messiah of Israel, from the tribe of Judah – Genesis 49:10 and the family of David, Isaiah 9:6, in the person of Jesus, the greatest son of Israel. “The land of Israel is central to Judaism. A substantial portion of Jewish law is tied to the land of Israel, and can only be performed there. Some rabbis have declared that it is a mitzvah (commandment) to take possession of Israel and to live in it (relying on Numbers 33:53). The Talmud indicates that the land itself is so holy that merely walking in it can gain you a place in the World to Come. Prayers for a return to Israel and Jerusalem are included in daily prayers as well as many holiday observances and special events. The third promise in verse three is that “in thee shall all families of the earth be blessed.” Through the people of Israel, the Jewish people, blessings would flow to all families of the world. The greatest blessing from the Jewish people is the spiritual blessing. Through them, we have the Bible that has blessed hundreds of millions of people through the centuries. The pinnacle of all blessings, the Savior, would come from the Jewish people and through Him, countless numbers have found forgiveness of sins and a personal relationship with God. The Abrahamic Covenant is the most important of the Covenants for understanding the Bible. The rest of the Bible, from Genesis 12:4 through Revelation 22:21, is, in essence, commentary on how God brings to pass the three basic promises of the Abrahamic Covenant. The promises of the Abrahamic Covenant can be developed through the rest of the Scriptures in God’s dealing with the Land of Israel, the Jewish people and the Messiah, and the salvation of Jews and Gentiles. Three other major covenants with Israel – Land, Davidic, and New – expand on the three basic promises of the Abrahamic Covenant. It is impossible for secularists, atheistic academicians, Bible denying religious people and others who reject the Bible as God’s word, to put together any reasonable explanation for history, its purpose, and its direction. Only through God and His Word, the Holy Scriptures, does history make any sense. The “broad” view of history – the loss of theocracy, dominion and perfect environment – begins in Genesis and ends in Revelation with the restoration of all three of these things when Jesus returns to earth. It is through the “narrow” view of history, which gives us much clearer detail and understanding, that we can see God working out His purpose for the three “broad” view realities. It is when we primarily focus on Israel and the Jewish people – their place in the plan of God, God’s dealing with them in Scripture, what happens with them throughout history – that we can begin to understand what God is doing in history. How nations and individuals relate to Israel and Jewish people is an integral part in understanding His Story. I close with a quote from Nikolai Berdyaev who lived from 1874-1948. He was a Russian Marxist who broke with the movement after the Russian Revolution and its aftermath, identifying with the Russian Orthodox Church of Christendom. He wrote a book titled, The Meaning of History. The reason why he left Marxism? It was the history of the Jewish people. The “particular and mysterious foundations of their destiny” is the God of Abraham, Isaac, and Jacob. David A. Noebel, Understanding the Times, Harvest House, p. 738. Herbert Schlossberg, Idols for Destruction: The Conflict of Christian Faith and American Culture, Crossway Books, p.27 and 29.